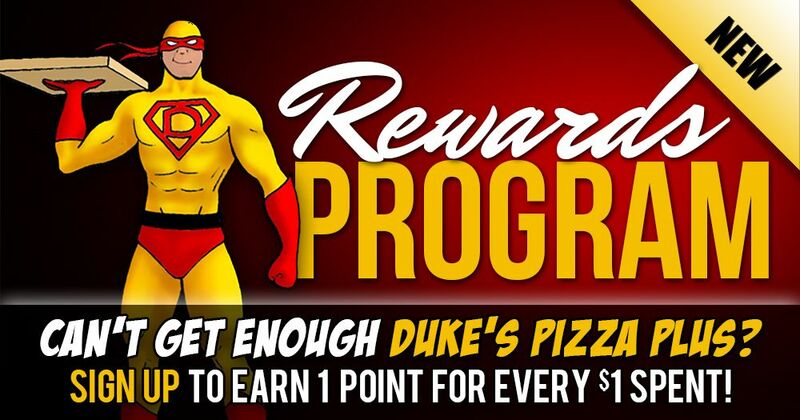 Can't get enough Duke's Pizza Plus? Enter your information to receive special offers the more you order! Sign-Up today to receive discounts and access to special offers that aren't available to the general public! We are firmly committed to your privacy and the protection of your information. We will NEVER share, sell or rent individual personal information with anyone without your advance permission. The emails you receive from us will include regular email communication notifying you of special offers, events, point balances, and promotions.